By offering an overview of operations management, this introductory course will interest students wishing to embark on middle-management careers. Topics include: operations strategy, project management, process measurement and analysis, facility capacity and location decisions, forecasting quality control and operations planning. Appreciation for the various dimensions of quality and how such dimensions can be used as a competitive advantage. 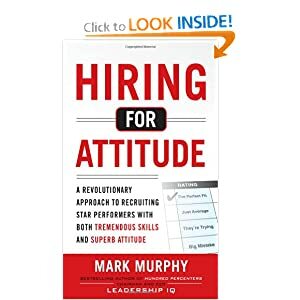 The following book excerpt is from Hiring For Attitude by Mark Murphy. If your organization is going to excel, it needs the right people. But virtually every one of the standard approaches to selecting those right people is dead wrong. And here’s why: whenever managers talk about hiring the right people, they usually mean “highly skilled people.” For lots of executives, the war for talent is a war for the most technically competent people. But that’s really the wrong war to be fighting. Most new hires do not fail on the job due to a lack of skill. My company, Leadership IQ, tracked 20,000 new hires over a three-year period. Within their first 18 months, 46 per cent of them failed (got fired, received poor performance reviews, or were written up). And as bad as that sounds, it’s pretty consistent with other studies over the years and thus not too shocking. 1. Coachability (26%): The ability to accept and implement feedback from bosses, colleagues, customers, and others. 2. Emotional Intelligence (23%): The ability to understand and manage one’s own emotions and accurately assess others’ emotions. 3. Motivation (17%): Sufficient drive to achieve one’s full potential and excel in the job. 4. Temperament (15%): Attitude and personality suited to the particular job and work environment. 5. Technical Competence (11%): Functional or technical skills required to do the job. You’ll notice that a lack of skills or technical competence only accounted for 11 per cent of new-hire failures. When a new hire was wrong for a company it was due to attitude, not a lack of skills. Our study showed that somebody was a bad hire for attitudinal reasons 89 per cent of the time. In some cases, these new hires just weren’t coachable, or they didn’t have sufficient emotional intelligence or motivation, or they just didn’t sync with the organization. But whatever the particulars, having the wrong attitude is what defined the wrong person in the majority of cases. If you want more proof, do this little exercise. Make a quick list of the characteristics that define the low performers who work for you. These are the people that you regret hiring, the ones who cost you time, energy, and emotional pain—the kind of people who make you happy to hit some morning rush hour traffic because it’s a welcome respite from them. Don’t think about it too hard; you’re going to be doing plenty of that in later chapters. Just jot down the first four, five, or six things that come into your mind when you think about what makes these folks low performers. The same exercise can be done with your high performers. And again, you’ll likely find that what makes these folks so great is all about their attitudes and not their skills. Don’t get me wrong. I’m not saying that skills don’t matter—they do. But I’m also saying that the biggest challenge in hiring is not determining skill but rather determining whether or not someone has the right attitude to be a good fit in your organization. Besides, figuring out if someone has the right skills, or enough raw IQ points, is actually pretty easy. Virtually every profession has some kind of a test to assess skill. If you want to be a board certified neurosurgeon, you have to pass a test. If you want to be a Cisco Certified Internetwork Expert (considered perhaps the toughest networking certification), you have to pass a written and a lab test. If you want to be a nurse, pharmacist, engineer, nuclear physicist, car mechanic, or whatever, there’s a test to assess if you have the skills and horsepower to do so. And even though I personally lack the skills to pass the tests for any of those jobs, I could easily proctor the exam. And if I buy the scoring key, guess what? I could grade those tests as well. And so could you. If you’re looking for a Java programmer, give her a page of code with bugs and have her debug and rewrite the code. Google holds a Code Jam that they describe as “a programming competition in which professional and student programmers are asked to solve increasingly complex algorithmic challenges in a limited amount of time.” Some hospitals hold competency fairs to test clinical knowledge. (“You say you know about infection control, chest tubes, and insulin protocols, so show me.”) There’s really no excuse for hiring somebody who lacks the skills to do the job, which no doubt is a contributing factor to why only 11 per cent of new hires fail because of skill. So when you see your colleagues get fixated on hiring people who can “do the job” and who have the “right skills” and enough “talent,” you’ll want to explain to them that attitude, not skill, is the top predictor of a new hire’s success or failure. Because even the best skills don’t really matter if an employee isn’t open to improving or consistently alienates co-workers, lacks drive, or simply lacks the right personality to succeed in that culture. Skills still count, but the data overwhelmingly tell us that attitude is the hiring issue that should demand the most focus. Reprinted with permission from The McGraw-Hill Companies, Inc.
Tell me about … your biggest weakness ... your favourite colour ... the superhero you most admire. The study tracked 20,000 newly hired employees in the United States, Canada, Europe and Asia, and found that 46 per cent of them had either been dismissed or received poor performance reviews or written reprimands over the course of the past three years. “Most new hires don’t fail for lack of skill. Rather, their underlying personalities and attitudes aren’t a good match for the job and the organization,” Mr. Murphy concluded. Their employers didn’t probe enough into the attitude behind their skills and their well-rehearsed answers in the job interview, said Mr. Murphy, chief executive officer of Washington, D.C.-based Leadership IQ. “I’m regularly told by employers that their low performers have really good job skills, but other factors such as being negative, feeling entitled, blaming or being change-resistant turned out to be the reason they didn’t work out,” he said in an interview. Coachability: In 26 per cent of failures, the employees were unable to accept and use feedback from bosses, colleagues or customers. Emotional intelligence: In 23 per cent, the issue was inability to manage their emotions and accurately assess others’ reactions or expectations. Motivation: For 17 per cent, the issue was lack of sufficient drive to reach their potential and excel in the job. Temperament: In 15 per cent of the cases, their personality didn’t suit their job or their team. Technical competence: In only 11 per cent of cases, the person’s functional skills weren’t up to the job. Interviewing for attitude will become increasingly important as organizations realize they can’t hire as many people as they did in the past and they want to ensure they get people with the right fit, Mr. Murphy said. Rather than asking what the applicant sees as strengths and achievements, questions should ask what he thinks the former boss or co-workers would say were his strengths and weaknesses. Even if you’re not planning to contact the former employer, simply giving the impression there’s going to be a full review will get people to open up, he said. Hearing someone use abstract descriptions could be a signal that he or she might not have the necessary experience or attitude you’re looking for, Mr. Murphy said. “Tell me about yourself.” This usually elicits a recitation about how the person always works hard and is good at collaborating. It tells you very little. “What are your weaknesses?” How many ways are there to say you work too hard and tend to be a perfectionist? “Tell me about …” Asking for a specific example of how the person resolved a conflict won’t tell you about issues he or she has trouble resolving. “What would you do if …” Hypothetical questions bring idealized answers that rarely reflect reality. “What kind of animal would you be?” Not surprisingly, most people say lion rather than parrot. Does this give you any real insight? CNBC-TV18 is a business news channel broadcast in India based in Mumbai. The channel was launched on December 7, 1999. It was the first business news channel launched in India and still leads that genre. The channel has been an integral part of the Indian economic story, spearheading and mirroring India's enterprising times. The channel's benchmark coverage extends from corporate news, financial markets coverage, and expert perspective on investing and management to industry verticals and beyond. CNBC-TV18 has been constantly innovating with new genres of programming that helps make business more relevant to different constituencies across India. India’s most able business audience consumes CNBC-TV18 for their information and investing needs. This audience is highly diversified, at one level comprising key groups such as business leaders, professionals, retail investors, brokers and traders, intermediaries, self-employed professionals, high-net-worth individuals, students and even homemakers but shares a distinct commonality in terms of their spirit of enterprise. CNBC-TV18 is available in over 35 million households in India. CNBC-TV18 runs India's largest platform for recognizing & rewarding accomplishments of Indian SME's - The Emerging India Awards. The Awards are listed in the Limca book of records as they received the highest number of entries for any business awards in the country till date. CNBC-TV18 runs India’s most respected and sought after awards for recognizing business & entrepreneurial achievement, the CNBC-TV18 India Business Leader Awards (IBLA). The IBLA re-inforces the prestige of CNBC Asia’s “Asia Business Leader Awards” (ABLA) in the country. I was just watching this epsiode of Young Turks- very good speakers who were inspiring. A lot of new leaders coming out of India with original ideas ~ always good to see them get recognition. "In the late 1980s, a biochemist named Douglas Prasher received a three-year, $200,000 grant from the American Cancer Society to try to clone the gene for green fluorescent protein from Aequorea victoria, a species of Pacific Ocean jellyfish that glows bright green under ultraviolet light. The fluorescent material, it was believed, could be injected into other cells so that one might watch events that hitherto had been invisible-like the development of nerve cells in the brain or the spread of cancer cells. ... Like any good scientist, he shared his findings, passed his results and some of the cloned material to Martin Chalfie, a geneticist at Columbia University. Prasher was set to do more when he was informed that he had failed to attain tenure at Woods Hole and would have to leave...While Prasher was bouncing from job to job, leaving him no time for Aequorea victoria, Chalfie at Columbia was making steady progress: He had been able to splice the material into E.coli and then into the roundworm C. elegans. Sure enough, the protein inside glowed green, proving that it could be used as a tag in a variety of ways. ... Things got progressively worse for Prasher. Funding was cut short at the Beltsville, Maryland, lab. Bravely, Prasher bounced from there to AZ Technology in Huntsville, Alabama. Then he lost that job in another round of cuts. The climax came in October 2008, when Chalfie, along with Osamu Shimomura of the Marine Biology Laboratory and Boston Medical School, and Roger Y. Tsien of the University of California at San Diego, won the Nobel Prize "for the discovery and development of the green fluorescent protein, GFP". But there as no mention of Douglas Prasher... When interviewed by National Public Radio's Inside Edition, Prasher said that he had been unable to find a job in science, his life savings had run out, and he was now working as a courtesy shuttle-bus driver for Bill Penney Toyota in Huntsville, Alabama. In their Nobel speeches in Stockholm that winter, all three men thanked Prasher profusely. "I'm really happy for them," replied Prasher, adding that in the face of his tough circumstances withholding the glowing material from Chalfie would not have been the right thing to do. An honest and talented man, Douglas Prasher. He could have been a contender. He just ran out of luck. Started reading today ... VOGUE FASHION! One of the best books on fashion! Loved it. Highly recommended! Very neat, tidy and to the point. The scholar, writer and teacher Joseph Campbell gained international fame by deconstructing the great mythologies of mankind and revealing the simple truths and profound themes behind history's great tales and legends. 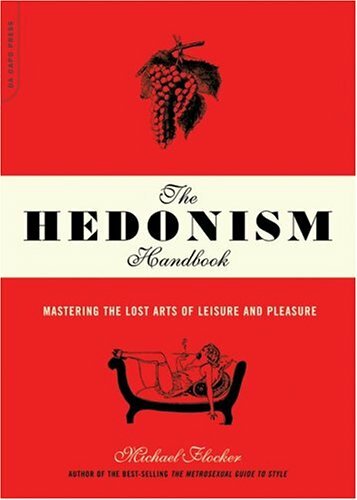 He drew parallels between classical mythology, modern pop culture and everyday lives. In his view, each life is a hero's journey through which we all are seeking some distant reward, only to discover in the end that we had it in our hands all along. From Odysseus to the Wizard of Oz, it always ends up the same way. Despite the breath and scope of his life's work, he is perhaps best known for one simple phrase: "Follow your bliss." The premise is a tantalizingly simple one. If you allow yourself to gravitate toward and pursue that which brings you the greatest pleasure, you will be on the road to achieving personal satisfaction , true happiness and your ultimate calling in life. The idea is to trust your instincts and be aware of when you are happiest and most fully engaged. In doing so, your natural talents will emerge and slowly you will become the person you were ended to be. In the book The Power of Myth, Campbell point s out tat "If you follow your bliss, you put yourself on a kind of track that has been there all the while, waiting for you and the life you ought to be living is the one you are living ... I say, follow your bliss and don't be afraid, and doors will open for you where you didn't know they were going to be." Resource-rich regions often fall behind in developing significant industrial and cultural capabilities. Japan does well despite having very few resources at all. Well-rounded and popular people rarely change the world. The one voted most likely to succeed probably won't. Genuine success is scarce, and the scarcity comes from the barriers that keep everyone from having it. If it weren't for the scarcity, it wouldn't be valuable, after all. It's difficult to change an industry, set a world record, land big clients, or do art that influences others. When faced with this difficulty, those with other, seemingly better options see the barrier and walk away. Why bother? The thinking is that we can just pump some more oil or smile and gladhand our way to an acceptably happy outcome. On the other hand, people who believe they have fewer options take a look at the barrier and realize that even though it will be difficult to cross, it's the single best option they've got. This is one of the dangers of overfunded/undertested startup companies. Without an astute CEO in charge, they begin to worry more about not losing what they've already got than the real reason they started the project in the first place. Found My FAVOURITE DRINK ~ Hongcho drinking vinegar at Korea Town in TOronto P.A.T. The more you drink, the more beautiful you get. Beautiful international celebrities like Megan Fox and Gwyneth Paltrow credited a ‘vinegar diet’ for helping them maintaining a slim figure, which in turn triggered great interest in vinegar. Vinegar is beneficial not only to losing weight but also to skin and health. Building on this popularity, vinegar beverages are making a sensation in the market and Korea’s vinegar beverages are at its center. Called the Hallyu syndrome in the beverage industry, the Korean vinegar beverages are capturing the palate of people around the world. It is said the ancient Egyptian queen Cleopatra often drank vinegar with natural pearls melted in it for beauty purpose. More recently, top Hollywood actresses are maintaining their figure with vinegar. What properties of this sour drink captured their heart? 1) Vinegar contains more than 60 kinds of organic acids that are beneficial to the intestines like acetic acid, citric acid, succinic acid, and malic acid. Having one cup of vinegar everyday helps solve skin allergy. 2) Vinegar helps stimulate metabolism and burn accumulated fat to reduce body fat. Rich in amino acids and vitamins, it helps mitigate under-nutrition resulting from a diet. 3) Its main ingredient, acetic acid boosts metabolism to release waste from the body. And citric acid helps the body’s absorption of calcium and cleans intestinal walls to help activate the intestines and treat constipation. Vinegar is also great for skin. An American columnist praised vinegar that can prevent various diseases as ‘miracle water given by nature’. ‘Why did he think so highly of it? 1) When you engage in lots of physical activities, energy is consumed and lactic acid is secreted. Most of it is discharged in urine, but if one is exhausted, lactic acid remains in the body causing muscle pain, arthralgia, and such. Organic acids in vinegar resolve lactic acid into harmless water and carbon dioxides. This is why one should take in vinegar when feeling tired. 2) Vinegar helps remove cholesterol sticking to the walls of blood vessels and boost their flexibility. It also prevents sugar from turning into fat and boosts fat metabolism, thereby preventing high blood pressure, arteriosclerosis and more. 3) The enzyme angiotensin contained in vinegar helps to lower blood pressure, preventing high blood pressure. So it is clear that vinegar is good for health. But it is still difficult to take in. This is why vinegar beverages came into existence: they reduce the sourness and make it much enjoyable for men and women of all ages. The recommendation is to have it mixed with water or milk in a 1:2 to 1:4 mixture ratio. One should determine the dilution ratio depending on one’s taste. They come in various flavors such as pomegranate and blueberry. If you take in vinegar or an empty stomach, it may damage the stomach walls. If taken in a large quantity at one time, the body fluid may become strongly acid. One should take only one or two cups of diluted vinegar. If one has stomach ulcer or a bad kidney, one should consult with a doctor before taking vinegar. The diet regimen known to enamor Hollywood stars for its great effects is a ‘banana & vinegar diet’. It is easy to follow: mix banana, vinegar, and maple syrup or black sugar in a ratio of 1:1:1. Warm it for 40 seconds in a microwave oven or in a double boiler to completely melt the sugar. Leave it at room temperature for a day. It is ready to eat and can be kept in the refrigerator for some two weeks. Remove any traces of banana and mix some three spoonfuls with water or milk to have before meals in the morning and evening. “His Libraries, 12,000 So Far, Change Lives"
“Girls Just Want to Go to School"
As valued Room to Read supporters, we want to make you aware and share our excitement about two columns that featured Room to Read in The New York Times this past week by acclaimed journalist Nicholas Kristof. We were honored to have Mr. Kristof visit our projects in Vietnam two weeks ago and are thrilled that he was inspired to share his experience with his readers. If you have not already seen Mr. Kristof’s columns, please have a look at “His Libraries, 12,000 So Far, Change Lives” which celebrates Room to Read’s immense achievements—including our 10 millionth book milestone, unique history and astronomical rise in growth since our founding—and “Girls Just Want to Go to School,” where Mr. Kristof introduces us to Phung, an incredible girl enrolled in our Girls’ Education program in Vietnam who, with the support of her father, goes to great lengths in pursuit of her education. You can find additional information related to the column on a special page we created on our website. Also included on the site is information on a matching gift fund that we were able to establish thanks to the generosity of several anonymous donors. The fund will be used to help the children in Vietnam that Mr. Kristof met along with the countless others we reach across Asia and Africa who want to discover a better future for themselves and their families. We hope you enjoy the columns and we thank you for the amazing role you have played in helping us get to where we are today – we couldn’t have done it without you! I’m Chinese but was born in India. In 1983, when I was 3, I immigrated with my family to Toronto from Calcutta. We were a typical Chinese immigrant family, except we happened to be from India. We’ve got a unique past but in many ways our story is the Canadian story. My parents struggled in their adopted country so my brother, sister and I could make something of ourselves. My mother told us that her dream was for all of her kids to graduate from university, which we did. I went on to law school and a career as a corporate lawyer, first in New York and now in London. Growing up, I was exposed to almost as much Indian culture as Chinese culture. We’d eat goat curry along with fish-ball soup during Chinese New Year. My father would belt out Hindi songs at family weddings while the fried rice was being served. His singing always left the wait staff a little confused. Last December, at the age of 30, I returned to India for the first time since we immigrated to Canada. I was accompanied by my wife, Jennifer. When I told my mother about our plans for the trip, she replied with her trademark bluntness: “You’re not going to like it. It’s dirty.” I heard similar responses from other family members but was undeterred. It was simply something I had to do. My parents and siblings had all been back to visit. Our first stop was Delhi, where we met with my cousin Jon. I was expecting Jon to be traditional (read: stuffy) but was pleasantly surprised when I saw he had dyed blonde hair and was wearing edgy leather pants. Like India itself, Jon was vibrant and full of life. We had never met before but Jon treated us like old family. He served us masala dosas and we chatted about the many colourful characters in our family, the latest Bollywood hit movie and shovelling snow. Meeting him was the highlight of my time in Delhi. He made the city come to life and I won’t soon forget his infectious laugh. After Delhi, we went to Agra to see the Taj Mahal, then to picturesque Udaipur and finally to my birth city of Calcutta. We stayed with my aunt and uncle who bent over backward to make us feel welcome. They live in Tangra in east Calcutta, home to a large number of Hakka Chinese. We went to the local Tangra market one morning where you can still have your live chicken slaughtered, plucked and cut up while you wait. What was more surreal for me was hearing Hakka spoken among all the locals while they picked out the day’s vegetables (remember, we were in India, not China). The one thing I had to do while in Calcutta was visit our family’s old home in Bowbazar in central Calcutta, which used to be home to a large number of Chinese families. To be frank, there was nothing special about Bowbazar – it seemed like just another dusty and busy Calcutta neighbourhood with an assortment of shops, restaurants and apartment buildings. After searching for about 45 minutes (everything takes longer than you think in India), we finally found the four-storey apartment building where we used to live. It’s fair to say the building has seen better days. The exterior was badly in need of repair, with many large chunks of the finishing either cracked or badly discoloured. While the building wasn’t much to look at, I couldn’t help but feel sentimental knowing that this was my first home, the place I learned to walk and talk and where I got my start in life. I can now honestly say I know where I’m from. India is unexplainable. It’s got so many layers and each one you pull back reveals something completely different (and often contradictory). Despite the country’s enigmatic nature, I think I understand my parents a little better now. I strolled through the same neighbourhoods they grew up in and came to appreciate and enjoy the sense of family and community that comes with being Hakka in Calcutta. But I also experienced the same crushing pollution, congestion and chaos that likely convinced them to pack their bags and move their young family to a country far away and much colder. While I have a better understanding of my parents now, the trip made me realize it will never be possible to learn everything about them. The world I witnessed in Calcutta was completely foreign to me. No amount of sightseeing could ever impart the lessons of growing up in such a complex and unforgiving city. First-generation Canadians often complain about their parents’ inability to understand their lives. However, it’s unlikely that these children fully understand, or even have the capacity to fully understand, the life that was left behind or the hardship of leaving everything behind. It would be nice if my parents understood me better. For example, I wish they would appreciate why we spend money on travelling instead of building up a down payment for our first home, something that annoys my mother to no end. But travelling to India showed me that it’s okay to have this disconnect. How could there not be? That’s the beauty of family. You don’t need to fully understand the details. You just need plenty of love and somehow it all seems to work out. Victor Chai is a Canadian living in London. "My aim in writing [this book] is to offer a richer vision of human ability and creativity and of the benefits to us all of connecting properly with our indivisual talents and passions. This book is about issues that are of fundamental importancein our lives and in the lives of our children, our students, and the people we work with. I use the term the Element to describe the place where the things we love to do and the things we are good at come together. I believe it is essential that each of us find his or her Element, not simply because it will make us more fulfilled but because, as the world evolves, the very future of our communities and institutions will depend on it. "Carp leaps over the Dragon Gate"
*The word koi comes from Japanese, simply meaning "carp"
The koi fish meaning takes on a enormous significance in Oriental society. The koi fish are believed to be Chinese in origin but is very well known in Japan. As legend has it, as koi fish swim boldly upstream against the adverse currents on the Yellow River, if it is successful in its attempt to swim up the falls at a certain point known as Dragon Gate, there within the mist of the waters of the falls it is magically transformed into a water dragon. Based upon this, the koi became a status symbol representing strong character, courage, and perseverance in achieving hard to reach goals. Also included within these traits is the drive to attain worldly success and advancement, even under trying conditions and against all odds. In Japan, these traits are considered masculin qualities and attributes, as a result, the status of the koi fish has become related with male masculinity. The symbol was said to represent the annual Boys’ Day Festival in Japan where multi-color koi flags were flown as a symbol of honor for each son in a family. The Koi Fish Meaning is also symbolically used today. For Children’s Day, the koi is symbolic of the family structure and flags are flown in a multiple of colors for different members of the family: Black Koi symbolizes the father; orange stands for the mother; the blue or white color is chosen for a boy; and lastly the red or pink shades symbolizes a girl. In some cases, the amount of fish, color and even the direction in which the fish are swimming in the water represents a Koi Fish Meaning. For instance, some people believe that 5 golden koi stands for perpetual wealth and prosperity. 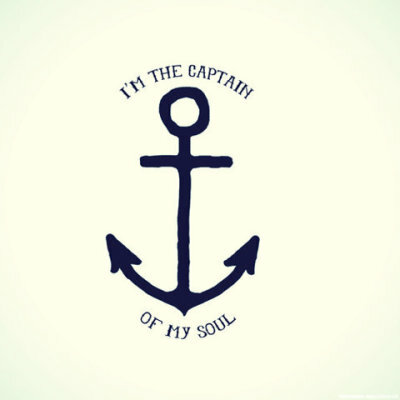 Other people believe that the colors of the tatoo on your body must represent you as an individual and where you live. All of these traditions only add to the thought and beauty surrounding the koi fish meaning and their legendary status. One other meaning for the symbol which is more common is that of standing for good luck or fortune. The Mosaic Mural encompasses an entire wall in the south lobby of the Bay-Wellington Tower at Brookfield Place. It was designed by renowned graphic artist Louis Fishauf, and includes the use of 3D graphic panels called Lenticular. Development of the National Business Archives has been generously supported by visionary member organizations including Brookfield Asset Management, CN, Deloitte and TD Bank Financial Group. The Archives "have a very important role to play in documenting a history of what has gone on before, so that all people will have something to look at and realize what a great contribution business has made to the Canadian economy," said David McLean, Chairman, Canadian National Railway - Archives Founding Member and sponsor of the Mosaic Mural art installation. The National Business Archives of Canada is a destination for the business community and public to experience the role of Canadian business in the development and prosperity of our country. With a footprint in Brookfield Place, the Archives will initially exist as a virtual centre and digital knowledgebase of artifacts and historical resources, with a business centre, library and exhibit gallery planned for the near future. The job-hunting client phoned Jim Beqaj expecting to be congratulated for having landed a lucrative new position. Instead, the veteran career adviser warned the man to reconsider. The client was an executive had worked for 15 years with a company that gave him carte blanche, provided great support, let him make decisions on his own and hire as many people as he needed. By contrast, the new organization was very bureaucratic and didn’t absorb outsiders well, and he would have to go through a chain of approvals even to hire a secretary. It proved a prescient statement: The executive decided to throw in the towel and leave the new post a few months later. “It’s truly remarkable how many people ... interview for jobs that are 100 per cent wrong for them. If they are hired, they struggle to make themselves fit into organizations at jobs they are unlikely to be satisfied doing,” Mr. Beqaj said. Be as specific as possible in answering these questions: What are you really good at? What do you most enjoy doing? What kinds of people do you like to work with? Make a list of companies, whether in your region or elsewhere in the country (or even the world), who might need someone like you. Narrow the list to about three or four top prospects by doing serious homework on the Internet and through networking contacts. Aim to find out how these companies tick and why they might need to add your specific skills to their teams. From your results, write an elevator speech with statements that define the skills that make you unique and why they matter to the employer. For example: “If you need a good judge of character who has hired more than 900 people and has 20 years experience, I’m the person to do the job.” In a single sentence, people can see what value you provide. Mr. Beqaj said. The job may be right, but are the people and their work styles compatible with the way you like to work? “Many job candidates are often too focused on the potential job to notice that the place is micromanaged, or that the team has habits that irritate them. But look around; you can feel it in your stomach if something doesn’t seem right,” he said. “Don’t be afraid to tell them exactly who you are,” Mr. Beqaj said. And if you have concerns, don’t let anyone else persuade you that a job is great. “It has to be your decision that it’s right, otherwise you’ll always be doing something that is not you,” he said. “If you are trying to win a job by contorting yourself into something you’re not, to become what you think they are looking for, you are soon going to find yourself unhappy and not likely to be very successful. What makes you unique? Write out not only what you think you are really good at, but evidence from experience that backs up your beliefs. What’s your best day? Look back at what you were doing on days in your work life when you felt most enthusiastic and came home and said, “If I could just do this every day of my life I’d be happy.” What are the worst experiences you want to avoid at all costs? Who works with you? Create a list of people in your life who have worked effectively with you. What were the common characteristics of these people in terms of mindset, background, habits and personality traits? How do you resolve conflicts? Do you compromise, accommodate, compete with or hide from people? Organizations can have a variety of way of sorting out issues and if you have a different style, you’re unlikely to be seen as a team player. What’s your work style? Do you like juggling multiple problems or the ability to complete one task before moving on to the next? Would you like to be on the road or in an office? Compromise in this area and every day could become a nightmare or a slog. Who needs you? Build a list of employers that have the kinds of jobs and work that are most compatible with your work style. These should not only need your skills but also be likely to want you as a person. Make them your priority targets. If I hear one more person say “I suffer from low self-esteem,” I might punch her. Even the word “suffer” sets my teeth on edge—it shows that she is wallowing in her own victimhood: “Poor me; nobody understands.” Low self-esteem, in its true psychological sense, is a defined emotional disorder linked to social phobia, but it has become a catch-all excuse—a get-out clause for not engaging with other people or, more fundamentally, with life. Could this be you? If you go to a party and feel too shy to talk to anyone new but complain afterwards that nobody approached you, then yes. If you sit in meetings at work, wondering why nobody is asking for your input—which you feel too selfconscious to offer yourself—and then contemplate why your career isn’t progressing, then yes. If your boyfriend’s friends terrify you into silence but he insists that they’re great and you need to make an effort (while you fume that he doesn’t understand how nervous you are), then yes. If you walk around in a state of—take a deep breath here because nobody likes this particular label stamped on their forehead—self-pity, then fundamentally what you’re really doing is thinking about yourself. Yes, I know, it doesn’t feel like that—you’re not self-obsessed! Far from it. If anything, you put other people first—after all, you’re the one who doesn’t want to force yourself on them if they’ve done nothing to indicate that they want to hear from you. But, actually, when you concentrate so hard on yourself—and how shy you feel or how dull other people might find you—the only thing on your mind is how you feel. You’re making yourself the most important person in the room. Essentially, what you’re saying is that your self-esteem is more important than theirs (or “I’m not particularly interested in you; I’m more interested in what you think of me”). After all, there’s more than one way to be a narcissist. It may sound harsh—especially when you’re already struggling with social anxiety—but take a moment to think about it: Who is to say that those people at the party feel any better about themselves than you do? Why do you think that they should make the effort to talk to you instead of the other way around? As a teenager, I was agonizingly shy. I blushed if somebody even spoke to me. I wore my shyness around like a badge. I was sensitive, different, special. I didn’t think of it that way, of course, so I was outraged when I stumbled across a phrase that defined shyness as a form of arrogance. Arrogant? Me? Terrified, more like it—frightened of my own shadow. Then I started to really think about it and came to the reluctant conclusion that it’s true. I was behaving like I deserved unique treatment, thinking that my needs were so much more important than anybody else’s that I didn’t have to try because I was shy. I still feel nervous and anxious at times, but I took the S-word out of my vocabulary and started paying attention to other people’s feelings rather than my own. And guess what? They responded, smiled, talked, laughed. As they opened up and blossomed under the warmth of my attention, my shyness slowly started to vanish, as mist does in sunshine. The way to be free of low self-esteem— as counterintuitive as it sounds—is to put other people’s self-esteem before your own. Who doesn’t flourish under a benign gaze? Who doesn’t retreat in the blank face of silence? The person who is desperately chatting away in the void of your apparent indifference as you eye her warily isn’t likely to be thinking that you suffer from low self-esteem and are casting around for something to say that she won’t immediately dismiss as inane; she’s probably thinking that she’s boring the pants off you or that you’re not interested or don’t care—when, of course, the opposite is true. You care too much—but mostly about yourself and how you’ll come across. What we’re really talking about is self-consciousness. Being too conscious of yourself is the badge of adolescence. Teenagers live in an almost-permanent state of self-consciousness because they literally need to: Neurological research reveals that the adolescent brain is so busy working out who the self is and how it fits into the world that it doesn’t have much time for anybody else—or, if it does, it dwells on comparisons rather than communication. It’s only when we hit our 20s that any true degree of empathy emerges, but it has to be worked on and developed. And, of course, it’s hard to kick the habit of comparing yourself to others, but comparisons are, inevitably, self-centred. (“How do I match up? Am I as good?”) They are also central to a society that trades on success—both physical and material—loading us with the constant burden of a not-good-enough culture. Who says? We do ourselves, of course. Nobody is whispering into our ear “You’re not good enough; I’m better than you”—or, at least, they’re not unless they’re downright cruel, in which case they’re not to be taken seriously. A degree of narcissism is healthy: It establishes confidence, sets boundaries (“I am me, and you are you”) and defines us as independent individuals instead of entrapping us in the painful emotional leakage of codependency. Pure narcissists suffer from stunted emotional growth, locked permanently in the self-involvement of adolescence. Their motto? “It’s not my fault.” The only sympathy they feel is for themselves. That’s narcissism at its most extreme, but low self-esteem teeters dangerously on the edge of “It’s not my fault.” It is poisonous to any relationship to expect other people to take care of us and load the burden of ourselves on others—that sapping need for constant approval and reassurance is an evasion of responsibility. If we never take responsibility for our own emotions, our own lives, our own behaviour, we never grow up. Of course, most of us are nowhere near that bad, but that can bring its own problems. If you’re bright, able and “normal,” who is going to expect that you’re a whirring mass of anxiety inside your own head? No one, that’s who. They’ll think instead that you’re not talking to them because you are unfriendly or superior or simply can’t be bothered. So, you have a choice: You could wear a badge that says “Sorry, I’m not talking to you; I’m really shy” or, more rewardingly, you could simply open your mouth and speak. There is a remedy to your problem: other people. Research into the science of happiness proves that doing things for others brings more satisfaction than anything else. It creates a glow of contentment that lasts for days rather than hours. It is selfless: When we do esteemable acts, we feel esteem. And it’s not hard. People don’t expect Wildean levels of wit or anecdotes from a life full of crazy adventures. In fact, you’d probably do better just to ask people questions about themselves because that is both friendly and flattering. A well-known socialite once explained that her trick for the kind of networking that had made her into a household name was simply to go up to people and ask them their name—that was it. And, yes, she felt the urge to hide in a corner and wait for people to come to her—everyone does—but experience taught her that everyone likes it if someone takes an interest in them. So, take an interest, speak up in an important meeting and go out on a limb. Your inner voice might squeal in protest, but who says you have to listen to it? Drown it out with a voice that’s probably much more interesting: somebody else’s. I've got a challenging assignment for you... I am inviting you to cultivate a special kind of receptivity -- a rigorously innocent openness to experience that will allow you to be penetrated by life's beauty with sublime intensity. To understand the exact nature of this receptivity, study Abraham Maslow's definition of real listening: to listen "without presupposing, classifying, improving, controverting, evaluating, approving or disapproving, without dueling what is being said, without rehearsing the rebuttal in advance, without free-associating to portions of what is being said so that succeeding portions are not heard at all." arggggggggggghh... this is a really tough challenge!! I will test it out starting tomorrow! So far I've failed with every thought that has crossed my mind. Going Global is a CNBC World TV series that focuses on business travel and the best of international journeys. It's about first class travel experiences and identifying exciting business opportunities. Going Global | Series Overview from Re:Source Media on Vimeo. There is an amazing race going on right now around the world to find the fuel of the future. More than three decades after the oil shocks shook America, the United States and the rest of the industrialized world is still addicted to oil. But now, for the first time in a generation, plans to break the black gold stranglehold are closer than ever to becoming a reality. CNBC will broadcast a one-hour special, "Beyond the Barrel: The Race to Fuel the Future," anchored by CNBC’s Carl Quintanilla. The one-hour program will showcase the bottled promises ready to be unleashed from the Middle East, South America, Asia and here at home. This CNBC original production will introduce viewers to more than a dozen potential game changing innovations to power our planet. “Beyond the Barrel: The Race to Fuel the Future” will also take a critical look at why we are still years away from putting these ideas into practice. CNBC’s Jane Wells will look at parts of the American west where new solar towns are popping up all over the map. CNBC’s Brian Shactman travels to Bolivia to report on the Country’s untapped reserves that can be used for new battery technology and change the way we use energy forever. NBC’s Adrienne Mong reports from China, a country accused of being a serial polluter. But at the same time, China's green-tech industry is catching up with the world's traditional leaders very quickly as they mass-produce the equipment and materials needed to create new forms of energy. Additionally, Quintanilla will profile a small start-up in northern California that's working to turn toxic emissions literally into building blocks for tomorrow. Plus, Quintanilla will go one-on-one with the OPEC ministers who say there's no way the world will replace oil anytime soon and he'll talk to the naysayers who believe we'll be addicted to oil forever. 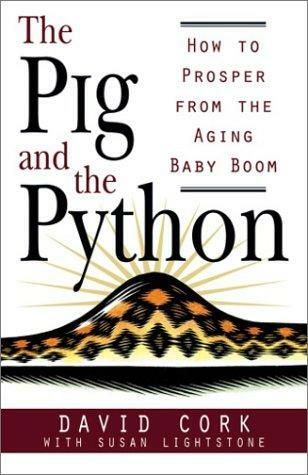 "Did you know that there are two groups of boomers, what demographers call two cohorts?" she continued. "Cohorts! Sounds like people who commit crimes together," I said. "Partly right, actually. Cohorts do things together. For demographers, a cohort is a group of people born during a defined time period. They share a slice of history and many of the same life experiences, tastes and preferences. In my lectures I quote a writer named Frederick Buechner. They have come from the same beginning. They have seen the same sights along the way. They are bound for the same end and they will get there about the same time. They are your compagnons de voyage.' I love that expression. Think about it- you can probably rememeber where you were when you heard that JFK was shot," she said. "Just barely," I replied. "I remember my mother watching the TV and crying her eyes out." "That's a memory that you share with all the others in your cohort. The cohort that follows you can't know what you know. You and your compagnons de voyage were shaped by that experience." "But how does the baby boom divide into two groups? I thought it was one gigantic group," I said. "Partly right again. It's one gigantic generation. Generations are measured in the time it takes a person to grow up and have children - that's about 20 to 25 years. But within the baby boom generation, there are two distinct cohorts. The front cohort was born between 1947 and the mid-1950s. The second are those born in the second half of the 1950s and the first half of the '60s. The cohort chasm that divides the two is the end of the Vietnam War and the beginning of the Watergate era. The first group of boomers came of age in the 1960s. In Canada, they share the positive slice of history that our Centennial celebrations bought this country. They thought they could change the world. The second group knew that wouldn't happen. They came of age watching their world unravel at the Watergate hearings, the economy losing its lustre, the rise of separatism. Their slice of history wasn't nearly as optimistic as that experienced by the older boomers. In fact, I'd argue that the younger boomer cohort resents the older one, sort of like you'd resent an older sibling - the older one gets everything and you're left with hand-me-downs. You could say that the first cohort was out to change the world, whereas the second cohort saw its role as saving the world from the first." "Interesting you should say that," I commented. "I've got five brothers and sisters. I've always envied my older brothers. Everything seemed so easy for them - jobs, buying a house, you name it. But when I look at my youngest sister, I see someone who is very concerned about her future. Even though she's younger, she's by far the most conservative of us all." "That's not surprising," replied Ruth. "There's a lot of diversity in this generation. But the power of the two cohorts of the boomer generation comes from looking at all of them together. And there are many things that everyone does, despite our view of the world. I believe we're on the brink of seeing some interesting new developments as the first cohort moves into solid middle age. They're starting to turn 50 and they have 50-year-old problems. Their health isn't as good as it once was, they've got to think about retirement, and their kids have left home. These are fundamental lifestyle changes. How is this affecting them and their view of the world? I'd suggest they've realized that perhaps they can't change the world." We both laughed at that. TIME: that is the key. Forget dollars, cowrie shells or gold. The true measure of something's worth is the hours it takes to acquire it. If you have to acquire it yourself, it usually takes longer than if you get it ready-made by other people. And if you can get it made efficiently by others, then you can afford more of it. This is what prosperity is: the increase in the amount of goods or services you can earn with the same amount of work. The results in every case of the establishment of opposition lines by Vanderbilt has been the permanent reduction of fares. Wherever he 'laid on' on opposition line, the fares were instantly reduced, and however the contest terminated, whether he bought out his opponents, as he often did, or they bought him out, the fares were never again raised to the old standard. This great boon - cheap travel - this community owes mainly to Cornelius Vanderbilt. Rail freight charges fell by 90 per cent between 1870 and 1900. Likewise, Andrew Carnegie, while enormously enriching himself, cut the price of steel rail by 75 per cent in the same period; John D. Rockerfeller cut the price of old by 80 per cent. During those thirty years, the per capita GDP of Americans rose by 66 per cent. They were enricher-barons, too. Henry Ford got rich by making cars cheap. His first Model T sold for $825, unpresedentedly cheap at the time, and four years later he had cut the price to $575. Falling consumer prices is what enriches people... If Cornelius Vanderbilt or Henry Ford not only moves you faster to where you want to go, but requires you to work fewer hours to earn the ticket price, then he has enriched you by granting you a dollop of free time. If you choose to spend that spare time consuming somebody else's production then you can enrich him in turn; if you choose to spend it producing for his consumption then you have also further enriched yourself. A free world-class education for anyone anywhere. The Khan Academy is an organization on a mission. We're a not-for-profit with the goal of changing education for the better by providing a free world-class education to anyone anywhere. The Khan Academy was created in 2006 by MIT graduate educator Salman Khan. With the stated mission of "providing a high quality education to anyone, anywhere", the website supplies a free online collection of more than 2,400 micro lectures via video tutorials stored on YouTube teaching mathematics, history, finance, physics, chemistry, biology, astronomy, economics and computer science. CAHSEE (California High School Exit Examination). Bailout 13: Does the bailout have a chance of working? You will fail at this. Often. Why is that a problem? In fact, this is a boon. It's a boon because when others fail to be remarkable or make a difference or share their art or have an impact, they will give up. But you won't, you'll persist, pushing through the dip. Which means that few people will walk in the door with your background, experience, or persistence. If our young men miscarry in their first enterprises, they lose all heart. If the young merchant fails, men say he is ruined. If the finest genius studies at one of our colleges, and is not installed in an office within one year afterwards in the cities or suburbs of Boston or New York, it seems to his friends and to himself that he is right in being disheartened, and in complaining the rest of his life. A sturdy lad from New Hampshire or Vermont, who in turn tries all the professions, who teams it, farms it, peddles, keeps a school, preaches, edits a newspaper, goes to Congress, buys a township, and so forth, in successive years, and always, like a cat, falls on his feet, is worth a hundred of these city dolls. He walks abreast with his days, and feels no shame in not "studying a profession," for he does not postpone his life but lives already. He has not one chance, but a hundred chances. For many of us, the happiest future is one that's precisely like the past, except a little better. We all enjoy nostalgia (the real kind, nostalgia for the past). We gladly suffer from that bittersweet feeling we get about events that we loved, but can't relive. Nostalgia for the way we felt that day in high school, or for the bonhomie of a great team, or for a particular family event. We'd love to do it again, but we can't. Nostalgia for the future is that very same feeling about things that haven't happened yet. We are prepared for them to happen, but if something comes along to change our future, those things won't happen and we'll be disappointed. If your company lays you off, you may very well get another job, but it won't be the job that one day was going to get you the promotion you were imagining that led to the event that you were hoping for in that office you were visualizing. We're good at visualizing this future, and if we think it's not going to happen, we get nostalgic for it. This isn't positive visualization, it's attachment of the worst sort. We're attached to an outcome, often one we can't control. If you had a chance to remake your life with a wish, what would you wish for? Would you leave behind your family, your town, your appearance? Most people would merely change the fabric on their sofa or make their job a little better (and their salary will go up). Some people, though, have an itch for a different future, one with radically different rules. Those people are emotionally connected to the sort of drive and visionary leadership that organizations look for in a linchpin. It's not a skill or even a talent. It's a choice. The linchpin is able to invent a future, fall in love with it, live in it - and then abandon it on a moment's notice. Companies hire people to solve problems, to prevent problems, to make issues go away, to reduce pressures, to improve financially, to free up talent to use their talents. Companies hire people to take things off their collective to-do list. They do not want employees who add problems, bring unwanted baggage, who require unnecessary maintenance. Employers want people who hit the road running; who are resourceful, self-reliant, able. Back in 2006 before I left for my trip to Australia I worked for a call centre, conducting surveys, for about a month and during one of my calls a gentleman from BC ended up giving me an advice marathon. He was talking a lot and was actually quite inspirational which made me write part of the conversation down. "We are all mirror images of what we learn from each other. In a marathon of 22.5 miles and there are 16 miles more to go, look forward to the remaining 16 and don't forget to smile as you cross the finish line. For there are going to be scores of people waiting for you and photographers waiting to capture your final moments. Try to get whatever you desire but make sure you don't do it at someone else's cost, otherwise this molecule of information that I have shared with you today becomes meaningless. In victory you do not experience fatigue. No matter what you want- you have to prepare and work for whatever it is that you want. You can be whatever you wish to be- there maybe setbacks but only temporary ones. If there is any place you feel at home, you do whatever you can to make sure you can stay there. And who wouldn't want? Maybe you can have a house you never dreamed you could have. Be married only once. Have kids. And even if you were to die tomorrow you would die a happy man." DEDICATED to JACK LAYTON, former NDP leader who passed away on AUG/22; the words seem every appropriate for him and the life he lived. He will be missed. I recommend that Hull-Aylmer MP Nycole Turmel continue her work as our interim leader until a permanent successor is elected. I recommend the party hold a leadership vote as early as possible in the New Year, on approximately the same timelines as in 2003, so that our new leader has ample time to reconsolidate our team, renew our party and our program, and move forward towards the next election. To the members of my party: we’ve done remarkable things together in the past eight years. It has been a privilege to lead the New Democratic Party and I am most grateful for your confidence, your support, and the endless hours of volunteer commitment you have devoted to our cause. There will be those who will try to persuade you to give up our cause. But that cause is much bigger than any one leader. Answer them by recommitting with energy and determination to our work. Remember our proud history of social justice, universal health care, public pensions and making sure no one is left behind. Let’s continue to move forward. Let’s demonstrate in everything we do in the four years before us that we are ready to serve our beloved Canada as its next government. To the members of our parliamentary caucus: I have been privileged to work with each and every one of you. Our caucus meetings were always the highlight of my week. It has been my role to ask a great deal from you. And now I am going to do so again. Canadians will be closely watching you in the months to come. Colleagues, I know you will make the tens of thousands of members of our party proud of you by demonstrating the same seamless teamwork and solidarity that has earned us the confidence of millions of Canadians in the recent election. To my fellow Quebecers: On May 2nd, you made an historic decision. You decided that the way to replace Canada’s Conservative federal government with something better was by working together in partnership with progressive-minded Canadians across the country. You made the right decision then; it is still the right decision today; and it will be the right decision right through to the next election, when we will succeed, together. You have elected a superb team of New Democrats to Parliament. They are going to be doing remarkable things in the years to come to make this country better for us all. To young Canadians: All my life I have worked to make things better. Hope and optimism have defined my political career, and I continue to be hopeful and optimistic about Canada. Young people have been a great source of inspiration for me. I have met and talked with so many of you about your dreams, your frustrations, and your ideas for change. More and more, you are engaging in politics because you want to change things for the better. Many of you have placed your trust in our party. As my time in political life draws to a close I want to share with you my belief in your power to change this country and this world. There are great challenges before you, from the overwhelming nature of climate change to the unfairness of an economy that excludes so many from our collective wealth, and the changes necessary to build a more inclusive and generous Canada. I believe in you. Your energy, your vision, your passion for justice are exactly what this country needs today. You need to be at the heart of our economy, our political life, and our plans for the present and the future. And finally, to all Canadians: Canada is a great country, one of the hopes of the world. We can be a better one – a country of greater equality, justice, and opportunity. We can build a prosperous economy and a society that shares its benefits more fairly. We can look after our seniors. We can offer better futures for our children. We can do our part to save the world’s environment. We can restore our good name in the world. We can do all of these things because we finally have a party system at the national level where there are real choices; where your vote matters; where working for change can actually bring about change. In the months and years to come, New Democrats will put a compelling new alternative to you. My colleagues in our party are an impressive, committed team. Give them a careful hearing; consider the alternatives; and consider that we can be a better, fairer, more equal country by working together. Don’t let them tell you it can’t be done. Went home this weekend and this 'NY Times' insert from last week's Sunday Star was lying around. THINK ABOUT IT. Ideas just aren’t what they used to be. Once upon a time, they could ignite fires of debate, stimulate other thoughts, incite revolutions and fundamentally change the ways we look at and think about the world. They could penetrate the general culture and make celebrities out of thinkers — notably Albert Einstein, but also Reinhold Niebuhr, Daniel Bell, Betty Friedan, Carl Sagan and Stephen Jay Gould, to name a few. The ideas themselves could even be made famous: for instance, for “the end of ideology,” “the medium is the message,” “the feminine mystique,” “the Big Bang theory,” “the end of history.” A big idea could capture the cover of Time — “Is God Dead?” — and intellectuals like Norman Mailer, William F. Buckley Jr. and Gore Vidal would even occasionally be invited to the couches of late-night talk shows. How long ago that was. If our ideas seem smaller nowadays, it’s not because we are dumber than our forebears but because we just don’t care as much about ideas as they did. In effect, we are living in an increasingly post-idea world — a world in which big, thought-provoking ideas that can’t instantly be monetized are of so little intrinsic value that fewer people are generating them and fewer outlets are disseminating them, the Internet notwithstanding. Bold ideas are almost passé. It is no secret, especially here in America, that we live in a post-Enlightenment age in which rationality, science, evidence, logical argument and debate have lost the battle in many sectors, and perhaps even in society generally, to superstition, faith, opinion and orthodoxy. While we continue to make giant technological advances, we may be the first generation to have turned back the epochal clock — to have gone backward intellectually from advanced modes of thinking into old modes of belief. But post-Enlightenment and post-idea, while related, are not exactly the same. Post-Enlightenment refers to a style of thinking that no longer deploys the techniques of rational thought. Post-idea refers to thinking that is no longer done, regardless of the style. The post-idea world has been a long time coming, and many factors have contributed to it. There is the retreat in universities from the real world, and an encouragement of and reward for the narrowest specialization rather than for daring — for tending potted plants rather than planting forests. There is the eclipse of the public intellectual in the general media by the pundit who substitutes outrageousness for thoughtfulness, and the concomitant decline of the essay in general-interest magazines. And there is the rise of an increasingly visual culture, especially among the young — a form in which ideas are more difficult to express. But these factors, which began decades ago, were more likely harbingers of an approaching post-idea world than the chief causes of it. The real cause may be information itself. It may seem counterintuitive that at a time when we know more than we have ever known, we think about it less. We live in the much vaunted Age of Information. Courtesy of the Internet, we seem to have immediate access to anything that anyone could ever want to know. We are certainly the most informed generation in history, at least quantitatively. There are trillions upon trillions of bytes out there in the ether — so much to gather and to think about. And that’s just the point. In the past, we collected information not simply to know things. That was only the beginning. We also collected information to convert it into something larger than facts and ultimately more useful — into ideas that made sense of the information. We sought not just to apprehend the world but to truly comprehend it, which is the primary function of ideas. Great ideas explain the world and one another to us. Marx pointed out the relationship between the means of production and our social and political systems. Freud taught us to explore our minds as a way of understanding our emotions and behaviors. Einstein rewrote physics. More recently, McLuhan theorized about the nature of modern communication and its effect on modern life. These ideas enabled us to get our minds around our existence and attempt to answer the big, daunting questions of our lives. But if information was once grist for ideas, over the last decade it has become competition for them. We are like the farmer who has too much wheat to make flour. We are inundated with so much information that we wouldn’t have time to process it even if we wanted to, and most of us don’t want to. The collection itself is exhausting: what each of our friends is doing at that particular moment and then the next moment and the next one; who Jennifer Aniston is dating right now; which video is going viral on YouTube this hour; what Princess Letizia or Kate Middleton is wearing that day. In effect, we are living within the nimbus of an informational Gresham’s law in which trivial information pushes out significant information, but it is also an ideational Gresham’s law in which information, trivial or not, pushes out ideas. We prefer knowing to thinking because knowing has more immediate value. It keeps us in the loop, keeps us connected to our friends and our cohort. Ideas are too airy, too impractical, too much work for too little reward. Few talk ideas. Everyone talks information, usually personal information. Where are you going? What are you doing? Whom are you seeing? These are today’s big questions. BUT the analogy isn’t perfect. For one thing, social networking sites are the primary form of communication among young people, and they are supplanting print, which is where ideas have typically gestated. For another, social networking sites engender habits of mind that are inimical to the kind of deliberate discourse that gives rise to ideas. Instead of theories, hypotheses and grand arguments, we get instant 140-character tweets about eating a sandwich or watching a TV show. While social networking may enlarge one’s circle and even introduce one to strangers, this is not the same thing as enlarging one’s intellectual universe. Indeed, the gab of social networking tends to shrink one’s universe to oneself and one’s friends, while thoughts organized in words, whether online or on the page, enlarge one’s focus. To paraphrase the famous dictum, often attributed to Yogi Berra, that you can’t think and hit at the same time, you can’t think and tweet at the same time either, not because it is impossible to multitask but because tweeting, which is largely a burst of either brief, unsupported opinions or brief descriptions of your own prosaic activities, is a form of distraction or anti-thinking. The implications of a society that no longer thinks big are enormous. Ideas aren’t just intellectual playthings. They have practical effects. An artist friend of mine recently lamented that he felt the art world was adrift because there were no longer great critics like Harold Rosenberg and Clement Greenberg to provide theories of art that could fructify the art and energize it. Another friend made a similar argument about politics. While the parties debate how much to cut the budget, he wondered where were the John Rawlses and Robert Nozicks who could elevate our politics. One could certainly make the same argument about economics, where John Maynard Keynes remains the center of debate nearly 80 years after propounding his theory of government pump priming. This isn’t to say that the successors of Rosenberg, Rawls and Keynes don’t exist, only that if they do, they are not likely to get traction in a culture that has so little use for ideas, especially big, exciting, dangerous ones, and that’s true whether the ideas come from academics or others who are not part of elite organizations and who challenge the conventional wisdom. All thinkers are victims of information glut, and the ideas of today’s thinkers are also victims of that glut. But it is especially true of big thinkers in the social sciences like the cognitive psychologist Steven Pinker, who has theorized on everything from the source of language to the role of genetics in human nature, or the biologist Richard Dawkins, who has had big and controversial ideas on everything from selfishness to God, or the psychologist Jonathan Haidt, who has been analyzing different moral systems and drawing fascinating conclusions about the relationship of morality to political beliefs. But because they are scientists and empiricists rather than generalists in the humanities, the place from which ideas were customarily popularized, they suffer a double whammy: not only the whammy against ideas generally but the whammy against science, which is typically regarded in the media as mystifying at best, incomprehensible at worst. A generation ago, these men would have made their way into popular magazines and onto television screens. Now they are crowded out by informational effluvium. No doubt there will be those who say that the big ideas have migrated to the marketplace, but there is a vast difference between profit-making inventions and intellectually challenging thoughts. Entrepreneurs have plenty of ideas, and some, like Steven P. Jobs of Apple, have come up with some brilliant ideas in the “inventional” sense of the word. Still, while these ideas may change the way we live, they rarely transform the way we think. They are material, not ideational. It is thinkers who are in short supply, and the situation probably isn’t going to change anytime soon. We have become information narcissists, so uninterested in anything outside ourselves and our friendship circles or in any tidbit we cannot share with those friends that if a Marx or a Nietzsche were suddenly to appear, blasting his ideas, no one would pay the slightest attention, certainly not the general media, which have learned to service our narcissism. What the future portends is more and more information — Everests of it. There won’t be anything we won’t know. But there will be no one thinking about it. Empress Myeongseong (19 October 1851 – 8 October 1895), also known as Queen Min, was the first official wife of King Gojong, the twenty-sixth king of the Joseon dynasty of Korea. In 1902 she received the posthumous name Hyoja Wonseong Jeonghwa Hapcheon Honggong Seongdeok Myeongseong Taehwanghu often abbreviated as Myeongseong Hwanghu (Hangul: 명성황후, Hanja: 明成皇后), meaning Empress Myeongseong. The Japanese considered her an obstacle against its overseas expansion. Efforts to remove her from the political arena, orchestrated through failed rebellions prompted by the father of King Gojong, Heungseon Daewongun (an influential regent working with the Japanese), compelled the Empress to take a harsher stand against Japanese influence. After Japan's victory in the First Sino-Japanese War, Queen Min advocated stronger ties between Korea and Russia in an attempt to block Japanese influence in Korea, which was represented by Daewongun. Miura Gorō, the Japanese Minister to Korea at that time and a retired army lieutenant-general, backed the faction headed by the Daewongun, whom he considered to be more sympathetic to Japanese interests. In the early morning of October 8, 1895, sword-bearing assassins, allegedly under orders from Miura Gorō, entered Gyeongbok Palace. Upon entering the Queen's Quarters (Okhoru Pavilion), the assassins "killed three court [women] suspected of being Empress Myeongseong. When they confirmed that one of them was the Empress, they burned the corpse in a pine forest in front of the Okhoru Pavilion, and then dispersed the ashes." She was 43 years old. In South Korea, there is renewed interest in her life because of recent novels, TV drama (the above video): "Empress Myeongseong" with 124 episodes and musical: The Last Empress; movie> The Sword With No Name is also said to be based on the life of the empress but heard the love story is fictional. *I was going through my items from Korea when I found a couple of leaflets from the National Palace Museum and found a picture of the Gold Seal of the Empress Myeong Seong and decided to google it. I found so much about her. She truly is an inspiration and she was so strong. I know about the history and it is so painful and no matter what I don't think anyone deserves to die like she did. I was thinking of watching the drama but just 10mins of the video made me cry non-stop. I would highly recommend you read the entire article on Wiki http://en.wikipedia.org/wiki/Empress_Myeongseong and I'd love to read the book on her. To add, it was during her reign that Ehwa Womans' University (I talk about in last month's post) was set up. The only purpose of starting is to finish, and while the projects we do are never really finished, they must ship. Shipping means hitting the publish button on your blog, showing a presentation to the sales team, answering the phone, selling the muffins, sending out your references. Shipping is the collision between your work and the outside world. The French refer to esprit d'escalier, the clever comeback that you think of a few minutes after the moment has passed. this is unshipped insight, and it doesn't count for much. Sometimes, shipping feels like a compromise. You set out to make a huge difference, to create art that matters and to do your best work. Then a deadline arrives and you have to cut it short. Is shipping that important? I think it is. I think the discipline of shipping is essential in the long-term path to becoming the indispensable. While some artists manage to work for years or decades and actually ship something important, far more often we find the dreams of art shattered for the resistance. We give in to the fear and our art ends up lying in a box somewhere, unseen. When you first adopt the discipline of shipping, your work will appear to suffer. There's no doubt that another hour, day, or week would have added some needed polish. But over time- rather quickly, actually- you'll see that shipping becomes part of the art and shipping makes it work. Saturday Night Live goes on each week, ready or not. The show is live, and it's on Saturday. No screwing around about shipping. There are no do-overs, no stalls, no delays. Sometimes the show suffers, of course, but on balance, it's the shipping (built right into the name) tht actually makes the show work. Not shipping on behalf of your goal of changing the world is often a symptom of the resistance. Call its bluff, ship always, and then change the world. When developing his theory of inertia, Galileo found that an object in motion must stop - however briefly - before it can change direction. We are no different. Many women feel that they are stuck, charging along in the wrong jobs or relationships, or are frustrated that their personal or professional lives are not moving forward as they had planned. These members of the New Girls' Club have mastered the art of deliberate living by hitting "pause" and taking the time to identify areas of their lives they would like to change. 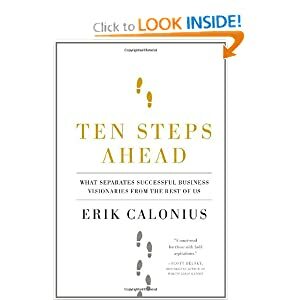 Their inspiring stories prove that personal or professional reinvention is easier than you might imagine and that engaging in strategic thought about change can produce swift, clear results. You are a stamping press, a gearbox, a software package, a cebtrifuge, or an electric motor. You are a box of cornflakes competing with every other cereal to catch the eye of the customer, to get plucked off the shelf, to get purchased. When companies hire, they make an investment. Hiring someone is precisely like buying any productivity-improving product. Just as the hiring company wants its investment in a new retail store design to increase sales, so too it wants its investment in people to increase sales. Just as the hiring company expects its investment in new CAD/CAM software to reduce production costs, it wants its investment in new people to eliminate scrap and waste. You are a product and the employer is the customer, the buyer. You are a product the customer will buy if the customer feels good about you, and if you solve a problem. As with a box of cereal, the customer will feel good about you if he or she likes your packaging. And your packaging, because you are you, is how you look, listen, learn, laugh. The customer will feel good about you if you fit the organization's culture, if you have "chemistry," and if you ask thoughtful questions. The customer will feel good about you if you have done your homework, and if you are enthusiastic about betting some of your life on the hiring company. More importantly, however, the customer-the hiring organization-will only hire you if they think you can solve their problem, if you will their need. You are a product the customer will buy if you are afforable, and if in solving his problem the customer will earn more from your work than the amount of money you will be paid for that work. You are not a robot, but you will be purchased as if you were a robotic assembly machine. Ewha womans university was Korea’s first educational institute for women. It was founded in 1886 by Mary F. Scranton, an American missionary of the Methodist Episcopal Church. The school’s name “Ewha” was bestowed by Emperor Gojong (the 26th king of the Joseon Dynasty, 1863~1907). The three virtues Ewha promotes are truth, goodness, and beauty. In 1910, a 4-year college course was established, but in 1943, during the Japanese colonial rule, the school was deprived of its name “Ewha” and was downgraded to a 1-year course institute. In 1945, when Korea became liberated from Japan, the school took back its name and at this time, Ewha Womans University was officially established. As of now, the university has 18 graduate schools, 11 colleges with 65 departments, and several research institutes. The recently completed ECC (Ewha Campus Complex; Basement level 6 – 1st Floor) is Korea’s largest underground campus. The lower levels contain a library, bookstore, gym, movie theater, cafes, and other cultural facilities, while on the first level visitors can find lecture rooms and an eco-park. The ECC provides students with various services, from learning to cultural activities, all under the one roof. The Ewha Womans University area is one of the most popular shopping districts in Seoul. Clothing stores in the area sell affordable and stylish fashions for young people. Restaurants in the area cater to the tastes of young women, and many international dining chains have branches here. As well as the main street leading to the school, many of the alleyways are worth visiting. They are filled with accessory shops, small clothing boutiques, shoe shops, cafes, and hair salons. This story had its setting in the city of Antioch in ancient Rome, two thousand years ago, when the great city of Jerusalem and all the land of Judea were under the oppressive heel of Rome. The star figure of the story was a young Jewish man by the name of Ben Hur, who was falsely accused of crime and sentenced to hard labor at the gallery's oar. Chained to a bench in the gallery, and being forced to tug wearily at the oars, Ben Hur developed a powerful body. Little did his tormentors know that out of his punishment would grow the strength with which he would one day gain his freedom. Perhaps Ben Hur had no such hopes. Then came the day of the chariot races. One span of horses was without a driver. In desperation the owner sought the aid of the young slave because of his mighty arms, and begged him to take the place of the missing driver. 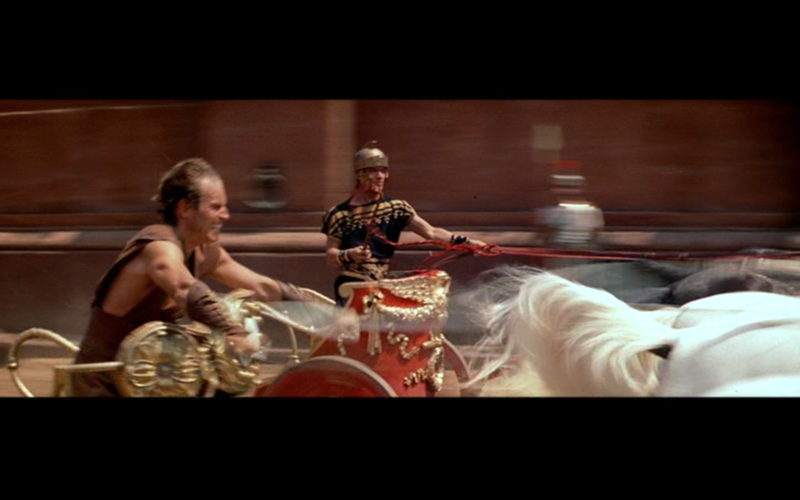 As Ben Hur picked up the reins, a great cry went up from the onlookers. "Look! Look! Those arms! Where did you get them?" they howled, and Ben Hur answered, "At the gallery's oar!" The race was on. With those mighty arms Ben Hur calmly drove that charging span of horses on to victory- a victory that won for him his freedom. Life is a chariot race, and the victory goes only to those who have developed the strength of character and determination and will power to win. It doesn't matter if we develop this strength through cruel confinement at the gallery's oar, as long as we use it so that it brings us, finally, to victory and freedom. 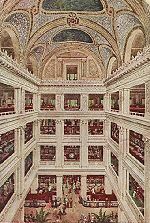 Marshall Field was probably the leading merchant of his time, and the great Field's store in Chicago stands today as a monument to his ability to apply the Law of Increasing Returns. A customer purchased an expensive garment at the Field's store but did not wear it. Two years later she gave it to her niece as a wedding present. The niece quietly returned the garment to the Field's store and exchanged it for other merchandise- despite the fact that it had been out for more than two years and was then out of style. Not only did Field's store take it back, but what is of more importance, it did so without argument. Of course there was no obligation, moral or legal, on the part of the store to accept the return at that late date, which makes the transaction all the more significant. The garment was originally priced at fifty dollars, and of course it had to be thrown on the bargain counter and sold for whatever it would bring, but the keen student of human nature will understand that the Field's store not only did not lose anything on the garment, but it actually profited by the transaction to an extent that cannot be measured in mere dollars. The woman who returned the garment knew that she was not entitled to a refund. Therefore, when the store gave her that to which she was not entitled, the transaction had won her as a permanent customer and that she then spread the news of the "fair treatment" she had received at the Field's store. The store received more advertising from that transaction than it could have purchased in any other way with ten times the value of the returned garment. The success of the Field's store was built largely on Marshall Field's understanding of the Law of Increasing Returns, which prompted him to adopt, as a part of his business policy, the slogan "The customer is always right." Marshall Field & Company (Marshall Field's) was a department store in Chicago, Illinois that grew to become a major chain before being acquired by Macy's Inc. on August 30, 2005. The former flagship Marshall Field and Company Building location on State Street in The Loop of downtown Chicago was officially renamed Macy's on State Street on September 9, 2006, and is now one of four national Macy's flagship stores— one of two within the company's Macy's East retail division alongside its New York store at Herald Square. Initially, the State Street store was the lead store of the Macy's North division, immediately following the merger. It may seem to be a departure from the subject of this lesson to start with a discussion of love, but after you have completed the lesson you will understand that the subject could not have been more omitted without impairing the value of the lesson. The word love is used here in an all-encompassing sense. There are many objects, motives, and people that can inspire love, and one of these inspirations can be work. Great artists, for example, generally love their work. This is the basis for one of the most important philosophies of this course: You are most efficient and will more quickly and easily succeed when engaged in work that you love, or work that you perform on behalf of some person whom you love. Whenever the element of love enters into any task that you perform, the quality of your work becomes immediately improved and the quantity increased, without a corresponding increase in the fatigue caused by that work. Some years ago a group of people organized a colony in Louisiana, purchased several hundred acres of farmland, and started to work out an ideal that they believed would give them greater happiness in life and fewer of the worries-through a system which provided each person with work at the sort of labor they preferred. Their idea was to pay no wages to anyone. Each person did the work they liked best, or that for which they might be best equipped, and the products of their combined labors became the property of all. They had their own dairy, their own brick-making plant, their own cattle, poulty, etc. They had their own schools and a printing plant through which they published a paper. A Swedish gentleman from Minnesota joined the colony, and at his own request he has placed at work in the printing plant. Very soon he complained that he did not like the work, so he was put to work on the farm, operating a tractor. Two of this was all he could stand, so he again applied for a transfer, and was assigned to the dairy. He could not get along with the cows, so he was once more changed, to the laundry, where he lasted but one day. One by one he tried every job available, but liked none of them. It had begun to look as if he did not fit in with the co-operative idea of living, and he was about to withdraw, when someone happened to think of one job he had not yet tried- in the brick plant. So he was given the wheelbarrow and put to work wheeling bricks from the kilns and stacking them in piles in the brickyard. A week's time went by and no complaint was registered by him. When asked if he liked his job he replied, "This is just the work I like." Imagine anyone preferring a job wheeling bricks! However, that job suited this man's nature. He worked alone at the task that called for no thought and placed upon him no responsibility, which was just what he wanted. He remained at the job until all the bricks had been wheeled out and stacked, then he withdrew from the colony because there was no one brick work to be done. "The nice quiet job is finished, so I think I'll be going back to Minnesota," and back to Minnesota he went. Genealogy (from Greek: γενεά, genea, "generation"; and λόγος, logos, "knowledge") is the study of families and the tracing of their lineages and history. Genealogists use oral traditions, historical records, genetic analysis, and other records to obtain information about a family and to demonstrate kinship and pedigrees of its members. The results are often displayed in charts or written as narratives. The pursuit of family history tends to be shaped by several motivations, including the desire to carve out a place for one's family in the larger historical picture, a sense of responsibility to preserve the past for future generations, and a sense of self-satisfaction in accurate storytelling. Lhotshampa, or Lhotsampa, (Tibetan: ལྷོ་མཚམས་པ་; Wylie: lho-mtshams-pa) means "southerners" in Dzongkha, the national language of Bhutan. The term refers to the heterogeneous ethnic Nepalese population of Bhutan. The first small groups of Nepalese emigrated primarily from eastern Nepal under Indian auspices in the late nineteenth and early twentieth centuries. The beginning of Nepalese immigration largely coincided with Bhutan's political development: in 1885, Druk Gyalpo Ugyen Wangchuck consolidated power after a period of civil unrest and cultivated closer ties with the British in India. In 1910, the government of Bhutan signed a treaty with the British in India, granting them control over Bhutan's foreign relations. Immigrants from Nepal and India continued to enter Bhutan with a spurt from the 1960s when Bhutan's first modern 5-year plan began, many arriving as construction workers. By the late 1980s, the Bhutanese government estimated 28 percent of the Bhutanese population were of Nepalese origin. Unofficial estimates of the ethnic Nepalese population ran as high as 30 to 40 percent, constituting a majority in the south. The number of legal permanent Nepalese residents in the late 1980s may have been as few as 15 percent of the total population, however. The government traditionally attempted to limit immigration and restrict residence and employment of Nepalese to the southern region. Liberalization measures in the 1970s and 1980s encouraged intermarriage and provided increasing opportunities for public service. The government allowed more internal migration by Nepalese seeking better education and business opportunities. However, the most divisive issue in Bhutan in the 1980s and early 1990s was the accommodation of the Nepalese Hindu minority minority. In 1988, the government census led to the branding of many ethnic Nepalis as illegal immigrants. Local Lhotshampa leaders responded with anti-government rallies demanding citizenship and attacks against government institutions. In 1989, the Bhutanese government enacted reforms that directly impacted the Lhotshampa. First, it elevated the status of the national dress code of the Driglam namzha from recommended to mandatory. All citizens including the Lhotshampa were required to observe the dress code in public during business hours. This decree was resented by the Lhotshampa who voiced complaints about being forced to wear the clothing of the Ngalop majority. Second, the government removed Nepali as a language of instruction in schools, in favor of Dzongkha, the national language. This alienated the Lhotshampa, many of whom knew no Dzongkha at all. Traditionally, the Lhotshampa have been involved mostly in sedentary agriculture, although some have cleared forest cover and conducted tsheri and slash and burn agriculture. The Lhotshampa are generally classified as Hindus. However, this is an oversimplification as many groups that include the Tamang and the Gurung are largely Buddhist; the Kiranti groups that include the Rai and Limbu are largely animist followers of Mundhum (these latter groups are mainly found in eastern Bhutan). Whether they are Hindu or Tibetan Buddhist, most of them abstain from beef, notably those belonging to the orthodox classes who are vegetarians. Their main festivals include Dashain and Tihar, a festival superficially similar to the Indian Diwali. The oversimplification also carries over into when Lhotshampa immigrated into Bhutan. The government had accepted all those citizens of Nepalese origin who were there prior to 1958. However, settlers continued to enter Bhutan with a spurt from the 1960s when Bhutan's first modern 5-year plan began. These numbers swelled significantly and later led to a crackdown by the government. Since the late 1980s, over 100,000 Lhotshampa have been forced out of Bhutan, accused by the government of being illegal aliens. Between 1998-1993, thousands of others left alleging ethnic and political repression. In 1990, violent ethnic unrest and anti-government protests in southern Bhutan pressing for greater democracy and respect for minority rights. That year, the Bhutan's Peoples' Party, whose members are mostly Lhotshampa, began a campaign of violence against the Bhutanese government. In the wake of this unrest, thousands fled Bhutan. Many of them have either entered Nepal's seven refugee camps (on January 20, 2010, 85,544 refugees resided in the camps) or are working in India. According to U.S. State Department estimates, about 35% of the population of Bhutan is Lhotshampa if the displaced refugees are counted as citizens. PERSONAL GENEALOGY: First recorded settlement of my family in Bhutan is 1900s. The Kirati are the oldest inhabitants of Nepal. Soyenbumanu who lived in the land of Hemonta had several children, The second Thoinua, went off towards Japan. The third went towards Thailand, Burma and Cochin-China. The eldest went towards China, then Tibet, and arrived at the northern frontier of India. His name was Munainua. He had ten children: Yoktumba, founder of the Limbus, Yakakowa, founder of the race of Rais, Lunpheba, founder of the Larus, Thanpheba, Suhacepa, founder of the Sunwars (Chepangs, Thamis), Gurupa, founder of the Gurungs, Mankapa, founder of the Magars, Toklokapa, founder of the Thakalis, Tamangs and Sherpas, Thandwas, founder of the Tharus and of the Danwars. For thirty-three generations, the Kirati governed in Kathmandu. NEW YORK—Mathematics. It's a subject that can elicit groans and exclamations of "boring." But Glen Whitney, a former hedge-fund quantitative analyst, is betting he can change that with a formula that looks like this: math (equals) discovery (equals) beauty (equals) fun. Whitney is planning to open the only museum in the United States dedicated to mathematics. MoMath, which will center on the wonders of mathematics and its connections with art, science and finance, is scheduled to open in New York City sometime in 2012, with the help of a $2 million grant from Google. There are many great math teachers in the United States, but the subject's joy of discovery is lost to the "tyranny of the curriculum and the almost treadmill of standardized testing," Whitney said. "That sensibility has sucked out the life of the subject," he said. "Math is evolving. It's an act of human endeavor. There's beauty" in its many patterns. The museum will provide the element of surprise and excitement that textbooks cannot, added Cindy Lawrence, the museum's chief of operations who directs an extracurricular mathematics program for gifted students through a joint venture with Brookhaven National Laboratory. The $30 million museum will occupy the ground floor and lower level of a 20-story building on East 26th Street in Chelsea; $22 million already has been raised. The two executives have been testing the waters of creating a museum of mathematics for nearly two years with Math Midway, a traveling exhibit that has been shown in seven cities, and counting. It will be at the World Science Festival street fair in New York on June 5, and at the Liberty Science Center in New Jersey from Oct. 7 to Jan. 22, 2012. It is currently at the Museum of Nature & Science in Dallas, where school children recently scampered through the kind of carnival themed, brightly colored exhibits planned for MoMath. Tents along one wall offered a variety of activities including a depiction of a ship on a moving circle that can only be "righted" by placing equal amounts of weight on each side; a rollercoaster track that kids can adjust to test out what angle gets the fastest time; and a harmonograph, which uses pendulums to draw a geometric image. "It's just a very hands-on, exciting exhibit" that appeals to many ages, said Jason Treadway, an educator at the Dallas museum. "I think one of the great things about it is you're basically learning about math without knowing you're learning about math." Another activity, "Pedal on the Petals," lets visitors ride square-wheeled tricycles on a track with a series of curves shaped like a huge sunflower. A nearby sign that proclaims "There's a road for every wheel!" also asks "Do you dare to ride on a square?" The sign poses the question: "Why is the ride so smooth?" The concept is based on a mathematical theorem that there's a way to contour a road surface so that wheels of that shape will roll smoothly. "Visitors can see -- and physically experience -- how math makes the seemingly impossible not only possible, but fun," said Whitney. "The kids actually get to explore math rather than be told about it," said Marea Kelly, who brought her fifth graders to the exhibition. "It's really going to help the kids who don't see the concepts right away." She said it made perfect sense to her students as soon as they rode the tricycle. These and about 50 other interactive activities at the new museum will also demonstrate math's collaborative process. "Mathematicians very often work together," said Lawrence. "We're trying to build on that" with exhibits that encourage collaboration. Math museums exist in many other countries, including Italy, Germany, Korea and France, but none in the United States, perhaps reflecting the low regard for the subject in this country. Studies consistently show that Asian students outpace their counterparts in other countries in math achievement. The most recent Trends in International Mathematics and Science Study found that 40 percent of fourth-graders in Singapore and Hong Kong, for example, reached the advanced benchmark in math, compared with only 11 percent in the United States. At the eighth-grade level, Chinese Taipei, Korea and Singapore had 40-45 percent of students reaching the benchmark and only 6 percent in the United States. "Given that math is used in more and more fields," from climate study to finance to astronomy, "there's a public problem here that needs to be addressed," said Sylvain Cappell, a professor at the Courant Institute of Mathematical Sciences at New York University. Cappell, who is on MoMath's advisory council, said a math museum is a different way to reach kids. "It's not to denigrate what goes on in the classroom," he said. "It's to give teachers and students another tool." Student math proficiency has gradually been improving in the United States over the past 15 years, said Zalman Usiskin, director of the Chicago School Mathematics Project at the University of Chicago. But he said a different ethos in Asia contributed to those students scoring high. A vast majority of students in Korea, Singapore and Japan "go to school after school" where they focus on individual subjects, he said. In Korea, they are aptly called "cram schools." "There's a different attitude toward how much time students should be expected to spend on studying," he said. Conversely, U.S. education places more emphasis on well-roundedness. The museum can make a difference, said Cappell. "No one element is going to change around the whole national culture but I think this could make a difference in both enlarging kids' understanding of the world and in their life prospects," he said. If you have ever aspired to run your own business (or an existing corporation), you may already be interested in applying the traits, philosophies, and leadership styles of successful CEOs to your career. But even if you have no interest in becoming a business leader (or ever working in business, for that matter), learning to think about your own life, finances, and career the way a CEO thinks about running a business can be rewarding…and help you reach your own goals faster. Successful CEOs Are Leaders. Even if you don’t manage others at work, you can be a leader by setting an example for everybody you know. Your actions are all it takes: Work harder, spend smarter, give back, be a good listener. Successful CEOs Are Competitive. Whether you’re naturally competitive or not, it pays to take a competitive outlook in life, especially in your career. I’m not recommending you become ruthless and begin undermining your coworkers to get ahead, but you should pay attention to what other people are doing in your line of work to be successful, and adapt. Successful CEOs Are Always Improving. Obviously, good is never good enough to successful CEOs. They are always striving to make their organizations better. And more often than not, ask a CEO what he or she does with free time during the workweek and you two of the top answers will be “exercise” and “read”. Top execs don’t just want to improve their businesses, they want to improve themselves. Likewise, the more time and energy you spend on improving yourself, the farther you’ll go. Successful CEOs Are Positive. Not only are optimistic people happier, they are often more successful, too. Nobody wants to hire, much less be around, a “Debbie Downer”. The sooner you learn to look on the bright side, the more opportunities you’ll have. Successful CEOs Are Persistent. Of course, no matter how positive you are, there are always going to be tough times. Although the first step is to learn how not to let tough times get you down, the second step is to train yourself to work through them. Don’t let set backs stop you from working towards you goals. Successful CEOs Take Risks. With big risks come big rewards, both in business and in life. It can be scary to take a new job, start your own business, go back to school, or move to a new city. Most people I know never regret doing any of the above, but I would be that there are a lot of people out there who regret not doing some of those things. A big 'THANK YOU' to the writers ~ "you saved my life!" "The lessons embedded in these stories is clear: The women of the New Girls' Club each feel they Have It All- largely because they purposefully reevaluated what "all" means to them. And they each did it at a critical moment, during their late twenties or early to mid-thirties. But perhaps the most important thing they have common is something quite simple- They are women of action. They never waited for, nor did they expect, wonderful lives to "just happen." When these women faced crossroad moments, they were not always certain they were making the right decisions or doing the right thing. But in the end, they each chose to live with purpose, optimism, and the creativity. There is much to learn from their experiences. I think that a lot of us walk around desperately seeking clarity. We have this prayer that goes something like, "If I only knew exactly what the right thing to do, and how to do it." And we say to ourselves, "What I get that moment of clarity, I'll take action." What I have learned is that prayer for the lightening moment when everything becomes totally clear is not actually a prayer for clarity- it's a prayer for an insurance policy to protect us from looking stupid or feeling dumb. And there is no such thing. Even if you are moving powerfully in a direction that you are clear is the right one for you, you'll still have plenty of moments of feeling stupid. I certainly have. I've flopped in Macy's window big time. And believe me, I've been in that scary place where you are living week to week trying to figure out How am I going to pay my mortgage and take care of my kids? I know what that's like. But I've taken those risks for something that I feel strongly about, and that's what makes it all worthwhile. Waiting for the clarity to strike and tell you exactly what to do with your life is a guarantee that you will never get the right answer. It is always in action that life happens. It's the action that produces the clarity. So on one hand, when taken at face value the Anything Is Possible message of our youth may have been too good to be true, but on the other hand, it was right on target. Because everything is possible when we, as adults, shed the inhibitions and expectations we've outgrown and deliberately set out to build richer, more meaningful lives. What we know now, and what we did not know at 30, is that time to claim our dreams is not running out- it is only beginning." A magnet attracts steel. The power of attraction is invisible but clear. The magnet naturally pulls steel toward itself. In our work, there are various qualities that we try to cultivate, but surely the foremost is a sincere enthusiasm for what we do. Knowledge is important. Talent is important. But even without either of them, you could get the job done. But with minimal knowledge and little knowledge and little talent, if you were determined to complete the task, you would ultimately be able to accomplish the work well. Even if a person cannot do a job personally, his or her sincere enthusiasm for the project generates an invisible power that draws people around. It works magnetically to mobilize the kind of support that is needed. And the job will be complete through the assistance and intervention of others. Know-how and talent would be useless without its use for work. We should do our best each day. Each of us has something to contribute, pouring the best of the resources at our disposal into the job to be done. We may believe our ideas are our own and our knowledge something we acquired on our own, but in fact, all of it is taught to us by others. Without being taught, without learning, a human being would have hardly a notion in his or her head. Small children learn from their parents, students from teacher, juniors from seniors, and so on. Your own ideas and thoughts are the result of this tremendous amount of learning. So naturally people who produce good ideas and good wisdom are those who are at the same time good at learning. When you possess the spirit of a good learner, everything around you is your teacher-the silent trees and rocks, the drifting clouds, the innocent child, the stern lecture of a senior, the good advice of a junior. This is because everything in the universe quietly pulses with the laws of nature, and so does everything in the long history of humankind, no matter how small, no matter how old. Valuable human insights and experiences are reflected in these constants. There is something we can learn from everything. We should be ready and willing to learn from anything and from everyone. Only when we are thus willing can we learn something new and be able to come up with good ideas. The spirit of learning is the first step toward true prosperity. Is there something more than what i've been handed? Will the ending be ever coming suddenly? Will I ever get to see the ending to my story? So when and how will I know? How much further do I have to go? How much longer until I finally know? Hoobastank used to be my favourite band back in about 2001 but then 'The Reason' came out and its popularity totally ruined the experience for me. Anyways, I used to listen to this song when I was finishing my last year in high school; before heading off to university. I thought 10years would have given me enough time to figure out my life but here I am a decade later wondering the very same thoughts... "I will dedicate/ And sacrifice my everything for just a second's worth/Of how my story's ending/And I wish I could know if the directions that I take/And all the choices that I make won't end up all for nothing". 'Tis Life! Is it? 어 쩌라고?! A former client of mine skyrocketed into the executive ranks when both his boss and boss’s boss suddenly quit in the middle of a high-stakes marketing project. He was 28 at the time. He changed. Previously a self-deprecating man who wasn’t terribly ambitious, he began to dress and act like a caricature of a confident, successful executive, peppering his conversation with stories about power lunches, bonuses and stock options. But he never quite grew into the role he was trying to project and didn’t develop the emotional depth one would expect of someone at his level. It finally caught up with him 10 years later when he was dismissed. He drifted into a deep depression. Always the golden boy, he had never failed before. It took him a long time to find new employment and it was at a much lower level. The stellar success early in his career was the worst thing that could have happened to him. Just as I worry about the long-term impact on young people who miss out on crucial work experiences through unemployment, or being marginalized in service jobs, I also worry about people who have too much too soon. We frequently hear stories about one-hit wonders, such as pop stars or writers who initially appeared to have great promise and a few years later drop off a cliff, mentioned only in “whatever happened to?” features. The same thing can happen to people in the business and professional worlds, whether they are brilliant young scientists, brokers or consultants – except that few people wonder where they are now. 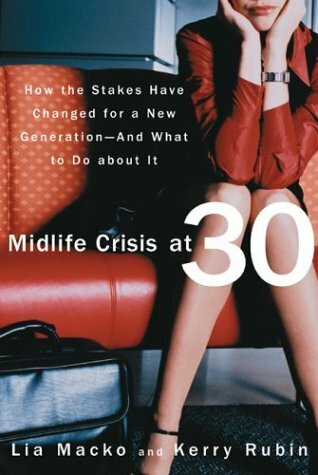 Those who succeed too soon miss critical formative experiences in building a career – the rough and tumble of being in your 20s or early 30s and trying to make sense of the irrationality and politics of organizational life: dealing with bosses who treat staff like dirt; being asked to perform seemingly insulting tasks such as making photocopies; working with a mixed salad of personalities, some difficult, over whom you have no power; having your ideas not taken seriously. And, of course, dealing with the angst of wondering: Is this what I want to do with my life? These experiences lay the foundation for later success and socialize people into corporate life. They also provide the necessary fodder for learning to deal with rejection and failure. And it can be lonely, especially for those who make it today. This generation’s crop of twenty- and early-thirtysomethings are tribal in bonding with people their age; they treat work relationships much as they did student friendships. Making the transition to being a boss of pals can lead to self-consciousness at a life stage when you’re still trying to fit in, gauging personal success in relation to that of friends. Relationships often take a battering. For example, I know several highly competitive couples who met in their 20s and used income as a means of “keeping score.” Their relationships unravelled when one of the high achievers hit career gold. Becoming highly successful at a young age is the result of a mixture of talent and good fortune. For most, talent is the major contributor. For a smaller number, luck contributes more. Those who attribute their success purely to luck, whether accurately or not, suffer from imposter syndrome. They may continue along a successful path but they are chronically anxious, worrying they will be caught out. As a result, they never enjoy their success. At the other extreme, people with big egos who attribute their success entirely to their own efforts don’t mature well, and are ill-prepared to handle reversals of fortune. So who is most likely to build on and sustain early career success? Those people who are humble enough to understand the positive circumstances which contributed to their good fortune, but at the same time recognize their accomplishments, are the ones with the right foundation for capitalizing on a great head start. Underneath the shock, surprise, anger, and resentment (if you've been terminated by a company), and the apprehension, frustration, and feeling that you're trapped (if you're currently employed but unsatisfied with your work), comes a small element of fear. "What if the right company doesn't come along? How will I handle rejection? How will I maintain my lifestyle and the plans for my family? Will I be able to land something that is at lesat as good as my old job?" Or, "What if I want to apply for a job outside my division, and my boss decides that I'm being disloyal? Will people become suspicious if I start trying to build relationships in anoter department? What if I apply for a position and don't get it?" The pain is real, the fear is real, and the stress of transition is real. I often recommend Elisabeth Kubler-Ross's book entitled On Death and Dying (Simon and Schuster, 1997) as reading for executives going through difficult career transitions. Dr. Kubler-Ross outlines seven stages that we go through when facing death or loss. People ending a job, especially if they've been with the company for a long time, experience a similar series of emotions. You can't force yourself through the stages, nor can you will yourself into the fonal stage of resolution until your mind is ready.